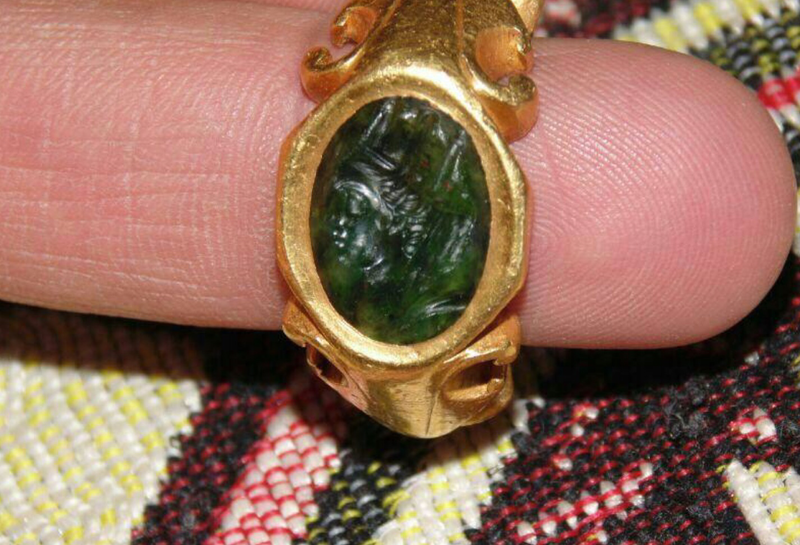 Gold ring with carved gemstone. This ring is believed to be from the Hellenistic/Roman period, dating approximately from 330 BC to 400 AD, and to have come from Deir Ezzor, Syria, which is near where the raid against Abu Sayyaf occurred. Finger not included. Photo courtesy of Abu Sayyaf’s raided archives. 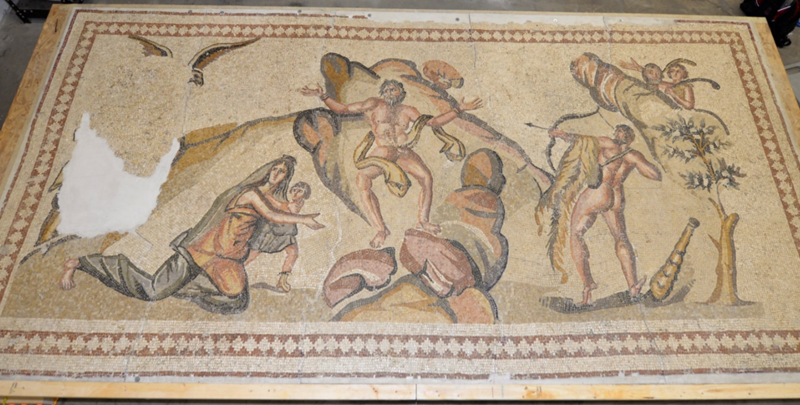 Last week, the U.S. Department of Justice announced it was on the lookout for four artifacts it believes were looted from for Syria and sold to benefit war chests belonging to ISIS (also known as ISIL and De’esh). The forfeiture complaint spells out how authorities traced the items thanks to the records of Abu Sayyaf, the late ISIS antiquities minister who was in charge of taxing and permitting looters who were taking advantage of chaos in the war-torn country to dig up ancient artifacts for profit. The complaint goes on to describe how one of Sayyaf’s underlings even kidnapped the 16-year-old son of one of the antiquities merchants at gunpoint. This came following a dispute over tariffs on relics and gold that had been dug out of the ground with pick axes. In the end, Sayyaf was ordered to apologize to the boy’s family, and the underling was directed to go to shari’al law and military course.